About 5 minutes from our home is Morning Glory Farm, known as the family farm that feeds the island. And it sure does; from families stocking up on their fresh produce, young adults grabbing a smoothie or coffee early in the morning, and restaurants stopping by to see what’s in season to put on their menus, Morning Glory Farm caters to everyone on the island. 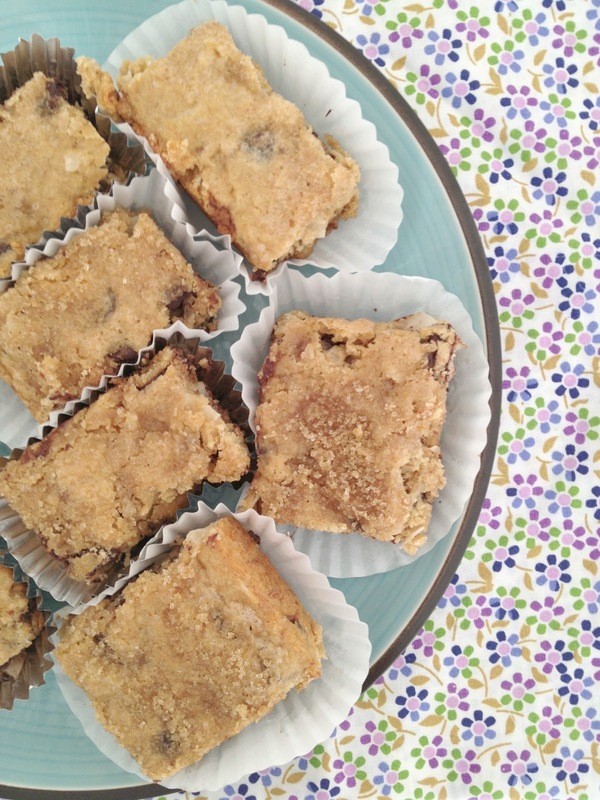 These monkey bars are chewy, chocolate-studded, and so so moist thanks to the fresh bananas! The recipe below is adapted – I wanted to make it a little healthier so I swapped most of the flour for whole wheat flour and added a few extracts to boost up the flavor! Make sure to check out Morning Glory Farm online and even better, if you’re on island, be sure to visit them! Grab a copy of their cookbook on Amazon as well. Adapted from Morning Glory Farm's cookbook, "Morning Glory Farm, and the Family that Feeds an Island" by Tim Dunlop, this is the perfect recipe when you're craving a delicious sweet treat! Heat oven to 350F and grease an 8 x 8 inch square pan. Set aside. Using a mixer and paddle attachment, cream butter, egg, sugar, bananas, salt and extracts together until light and fluffy. In a separate bowl, whisk together both flours and baking powder. Fold in chocolate chips and coconut. Add dry ingredients to wet ingredients. Batter will be thick and spreadable. Spread into greased pan and sprinkle with demerara sugar. Bake for 20-25 minutes, until done. « Happy Independence Day Dominican Republic! That’s a boss you definitely want to hang on to! These look amazing. I love that they use bananas. My boyfriend is always looking to make desserts a little healthier. This is perfect! 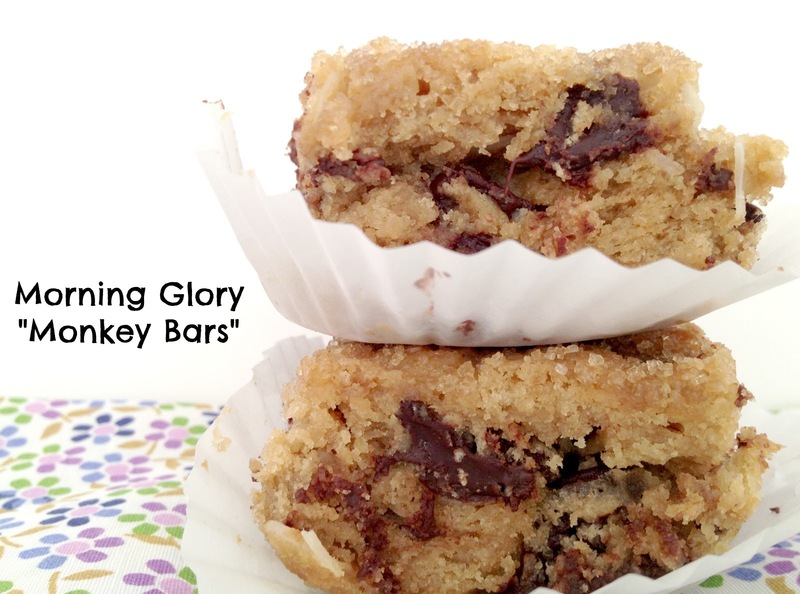 Love the name “monkey bars” and I am pretty sure I could eat the whole pan of them! It just makes me happy to find another recipe to use those bananas. I love having variety & not always going with the easy banana bread all the time. These look great!